Vacation lifted the dark clouds that kept trying to set up camp above my head. Since it was so exciting and there is so much to share, the next three posts will be my vacation series. First is National Park love. Second is family love. The third will be things we learned in Albuquerque. RV life is a secret society kind of life. Who knew that there would be an existence of apps that show which WalMarts and Casinos allow you to boondock through the night? How about that there's an app that tells you which Flying J Travel Centers have dump stations? RV people that’s who! 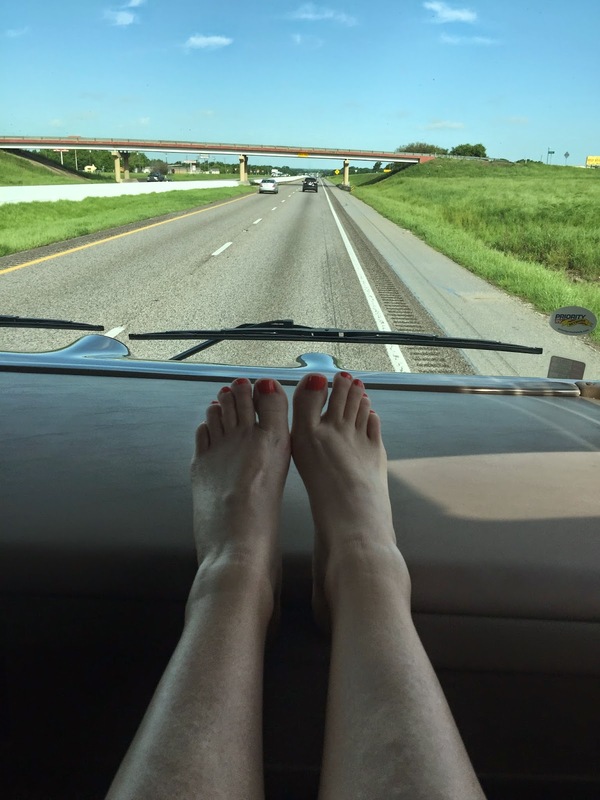 As we departed for New Mexico, we didn’t really know what it was like to travel a great distance inside a 38 ft. land yacht. We were not disappointed. The panoramic views were great even when there was nothing, but desert for miles and miles. When Carlsbad, NM came into view our excitement could hardly be contained. Luckily we could pee along the way, so there was no bladder stress as we drove into our temporary spot at the local KOA, complete with green aliens. 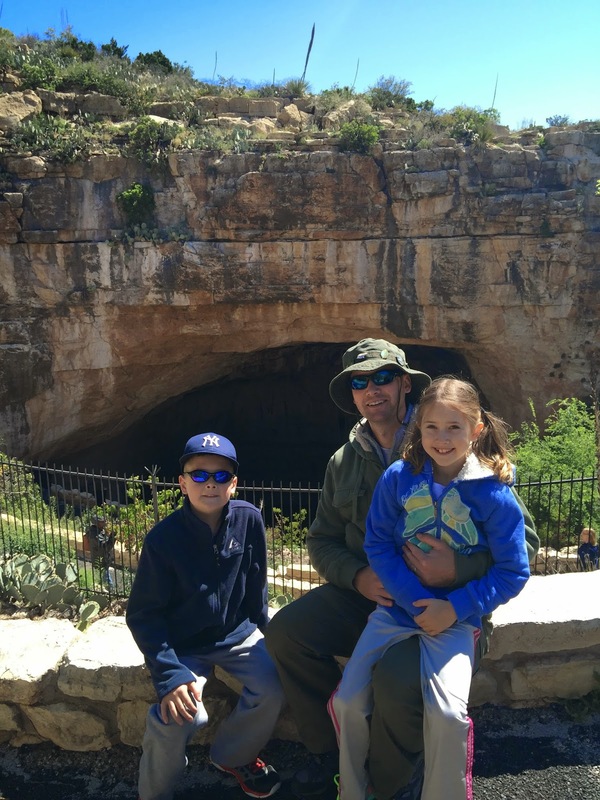 Carlsbad Caverns National Park is a great park. There is a bat cave! We searched and searched for the bat mobile to no avail. There were mountain goats and ring tails lingering in the mountainous terrain on our way up to the visitors center. Surely there were rattlesnakes and luckily they kept their locations to themselves. Upon arrival we hiked down the natural entrance to the cave. It’s a series of switchbacks that take you deep into the mouth of this natural wonder. There are petroglyphs along the way. The bats weren’t active at the time of our visit. If you ever get the chance, I would recommend watching the bat flights out of this entrance. I can only imagine the sight. 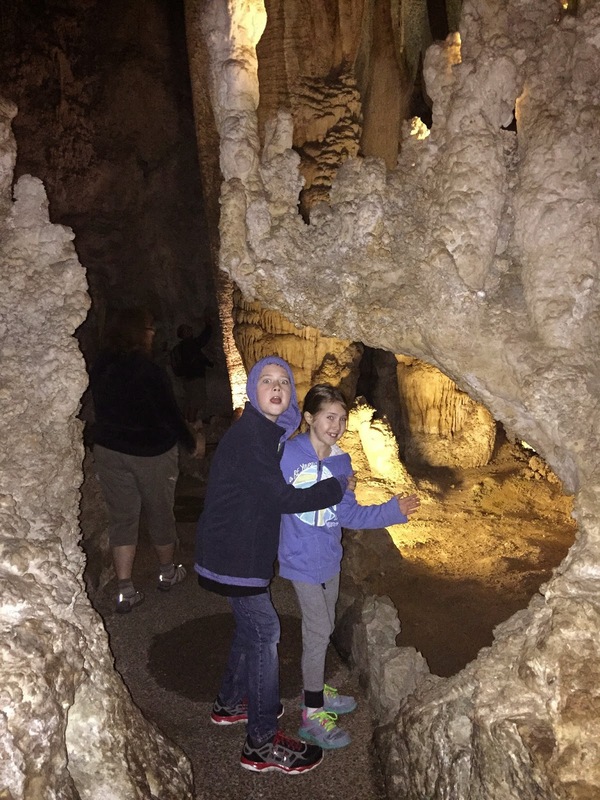 We toured the cave on our own and the kids earned their Junior Ranger badges. 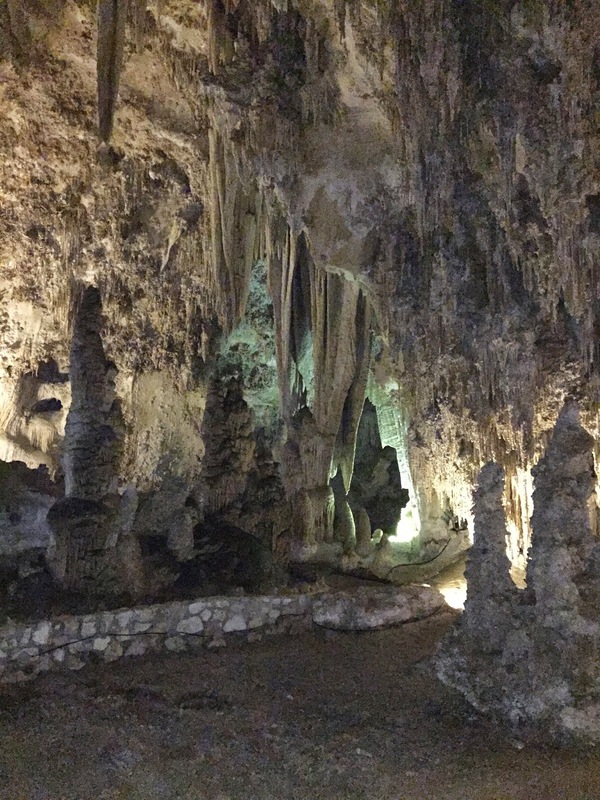 There was more variety in cave formations in this park than any other we’ve seen. The Big Room was the size of 14 football fields! The second day was dedicated to a Ranger led walk through the King’s Palace and the Queen’s Chamber. We got to experience total darkness and the gentle drip of the cave growing at a glacial pace. The stories of the cave’s founder were funny and well told. I still secretly hope that my son follows his dream and becomes a Park Ranger one day. The second National Park was Guadalupe Mountains National Park. Luckily we’d borrowed a car and could make it up there without the Big Montana. El Capitan is the highest of the range showing that with elevation comes a very different environment. Surrounded by desert, this mountain range is home to a variety of hardy creatures. This range must have seemed so strange to people crossing the country by stage coach. Nothing, but desert for hundreds of miles and then BAM a huge range of mountains with life giving resources. The sun hits this ridge at different times of day illuminating its beauty throughout its seasonal changes. 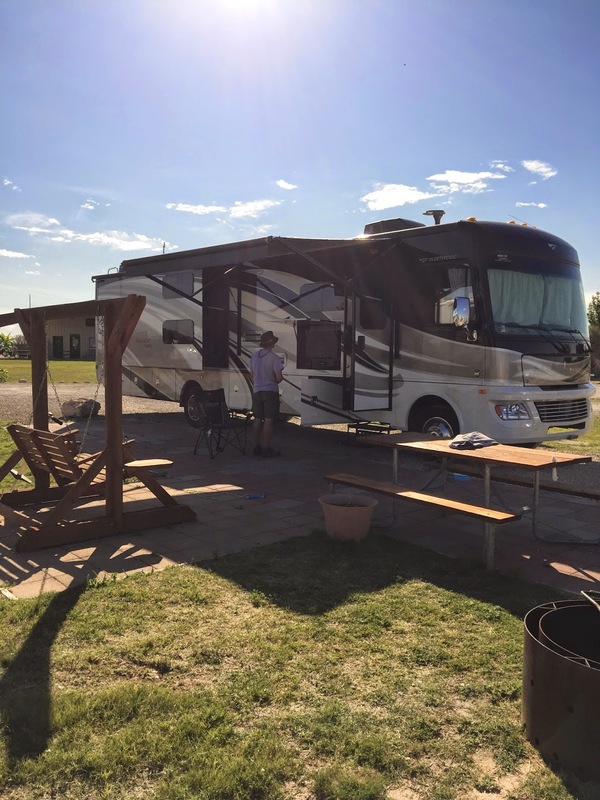 The following day the Montana delivered us through Roswell and into Albuquerque where we got to visit Petroglyph National Monument with family! Imagining the original Americans creating these images in a special ceremony out in those hills was pretty cool. Getting to hike it with family made it even more fun. You dear readers know my continued love for our National Parks. Getting to do three in one trip was nothing short of a thrill. I love to share our experiences as we support the parks. Hopefully you’ll support them too and plan to get out there this summer.